UTV Media has told investors it expects the sale of its TV business to be completed by March, just around the same time the residual radio business is due to launch three new high-profile digital radio stations in the UK. In a Transaction and Trading Update issued by the company this morning, it confirmed that the Irish Competition and Consumer Protection Commission has now given its clearance to the sale of UTV Ireland to ITV plc, following the Broadcasting Authority of Ireland's approval in December. Now the Irish Minister for Communications, Energy and Natural Resources needs to consider the sale before the deal can be completed. As a result, UTV expects its TV channels both sides of the border to become part of ITV plc in March, "although completion could take place as early as the end of February 2016 depending on the rate of progress with this final clearance", according to the Update. £98million is expected to be raised in net income from the sale, with £55million (57p per share) being returned to shareholders. As announced last year, with the sale of its TV business, UTV is expected to be renamed as it focuses on its radio business, including TalkRADIO, TalkSPORT 2 and Virgin Radio - the three new radio stations it will launch on the new Sound Digital D2 DAB digital radio multiplex in March. Meanwhile, existing national station TalkSPORT will be developed internationally. A review of its local radio business in the UK, which saw Liverpool's Juice FM being sold to Capital FM owner Global Radio for £10million, has now concluded, and UTV hopes to maximise the profitability of its remaining UK local stations in the coming year. 09/01/2015 UTV is reported as thinking about selling some of its UK radio assets. Subsequently UTV decided to sell Liverpool's Juice FM to Global Radio. 22/08/2015 Rumours emerge that UTV is going to sell its TV business to ITV. The rumours were subsequently confirmed. 05/10/2015 Confirmed: Juice FM to become Capital in Liverpool from early 2016, the official completion of the sale of Juice FM to Global Radio followed a few days later. 13/11/2015 It's revealed UTV Media will be renamed after the sale of its TV business goes through. The UTV name will be kept on by ITV plc for the TV services either side of the border. 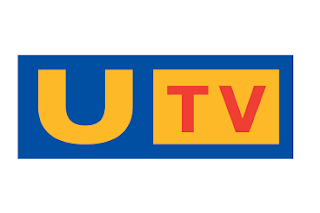 17/12/2015 The Broadcasting Authority of Ireland approves the sale of UTV Ireland to ITV. 12/01/2016 The Irish Competition and Consumer Protection Commission approves the sale of UTV Ireland to ITV. March 2016 UTV's Channel 3 service in Northern Ireland and UTV Ireland to be taken over by ITV plc following the completion of the sale. March 2016 UTV's remaining radio division to launch three new stations on UK digital radio.